If you would like to check out some testimonials from people who have used our services, please go on over to the testimonials page. Music Education Network for The Visually Impaired (MENVI) is an information network composed of musicians, specialists, students, parents, and music educators of visually impaired students. The MENVI Advisory Committee is made up entirely of blind musicians and teachers. MENVI exists for, and is guided by blind musicians. Updates to this section will be coming soon. The needs of blind students of music are unique. Parents need to be informed of what is available for their children in the area of music education, and educators must have access to specialized materials and how to use them. Not all teachers of music are knowledgeable of the braille music code. They should, however, encourage braille music literacy at the earliest levels. MENVI provides a network of information as well as a resource guide to braille music and the teaching of blind children and adults. Membership in MENVI provides you with a link to a regular journal of what's going on in music education. Registered members are provided with a complete Membership Roster listing all contact information. The News Journal includes experiences shared by blind musicians, parents, students, and their teachers. There is no cost to join our group, only a sincere interest and belief that music is not merely a luxury or a "frill" in education, but a powerful and necessary tool for growth. Will We Be Asked For Contributions? Yes! You will be asked to give your support by overseeing your child's progress and maintaining a working contact with teachers. We ask you to report progress and problems by contributing short but informative articles to our News Journal. This allows us to "network" and share valuable information with others in our mailings. MENVI news journals provide a permanent archive of experiences and progress as the ever increasing demand for braille music skills moves forward. Past issues are always available upon request, and will remain an accumulative published resource and reference. Problem sharing and solving is an essential function of MENVI. All News Journals are published on our Website. Just click on the newsletters link anywhere you see it on the site. Currently, the cost for MENVI services is sponsored by Dancing Dots, L.P. Supporting Members are listed as such in our yearly roster. Subscriber membership is free, and is all that is required. What Other Information and Support Can We Expect? 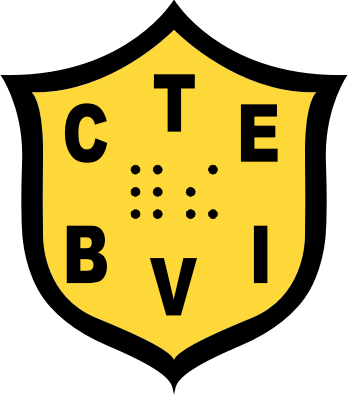 As Music Specialist for California Transcribers and Educators for the Blind and Visually Impaired, CTEBVI, Richard Taesch is able to call upon the expertise of the Music Committee for questions and answers to problems. Other resources available for consultation and expertise include National Braille Association Music Committee, The Library of Congress Braille Development Section, the MENVI Specialists Committee, and many information sources available on the World Wide Web. Music transcribers can be located and, in many instances, braille music files can be sent to readers on-line via e-mail. We encourage inquiries from parents and educators alike. Communication by phone or e-mail is encouraged. MENVI Specialists are appointed professionals and experts in their fields. They are available to share information and guidance in their areas of expertise, and may be contacted by members and non-members for help at any time. This is a list of Specialists belonging to the MENVI network. To E-mail them, click on the appropriate link. If you have questions, please and tell him who you are trying to contact and what address you are using. Please be specific as this will aid in responding quicker. If you call and get voice mail, please leave your name, number, who you are trying to contact, and the problem you are having. You will get a call back within 24-48 hours in most cases. This completes the MENVI specialists Committee.